Equiparts carries a number of ligature resistant fixtures for commercial restrooms. These fixtures are specifically designed to reduce the likelihood of a suicide attempt inside prisons or the restroom of a behavioral health center, hospital, juvenile detention center, or school. 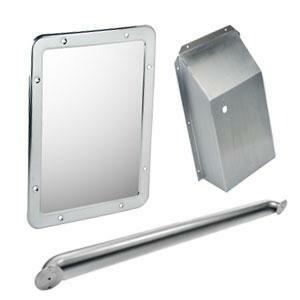 Our inventory includes ligature resistant mirrors, ligature resistant grab bars, ligature resistant flush valve covers & more. Call us at 1-800-442-6622 to inquire about pricing or with any questions. Equiparts supplies Ligature Resistant Water Showers and Anti-Ligature Showers for use in prisons, hospitals, institutional, or school washrooms. We carry the Metcraft Anti-Ligature Shower and Ligature Resistant Wall Shower by Willoughby Industries. 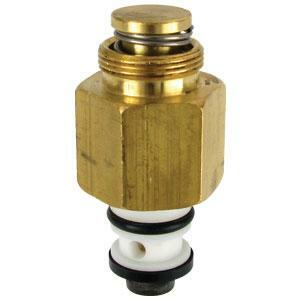 Our inventory also includes the Willoughby Push-Button-Valve. Call us at 1-800-442-6622 for pricing. 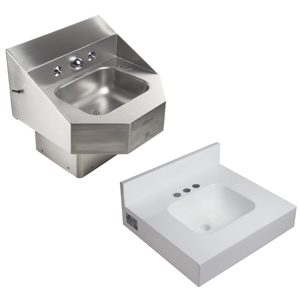 Equiparts supplies Metcraft Anti-Ligature and Stainless Steel Lavatory Sinks + the Willoughby Ligature Resistant Sink for prisons, hospital/healthcare, institutional, and school washrooms. Call us at 1-800-442-6622 for pricing or general inquiries. Equiparts carries stems and cartridges for washroom sinks. Our inventory includes the Willoughby Self-Closing Valve Cartridge, the Metcraft OEM Slo-Close Valve Assembly for the Tempus II, and more. Call us at 1-800-442-6622 for pricing or if you have any questions. 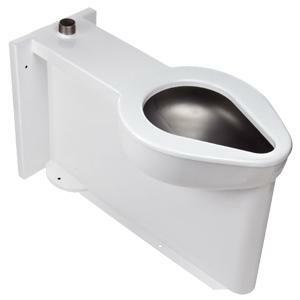 Equiparts carries Anti-Ligature & Ligature Resistant Toilets + Wall Hung Siphon Jet Toilets for prisons, healthcare, institutional, and high-security washrooms. Our inventory includes the Metrcraft Anti-Ligature Toilet & the Willoughby Ligature Resistant Toilet + a vandal resistant Wall Hung Siphon Jet by Metcraft for high security areas. Call 1-800-442-6622 for pricing or with any questions. 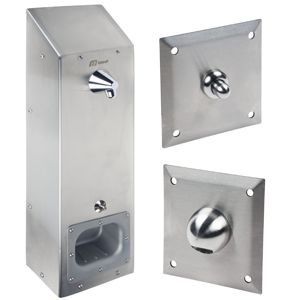 Equiparts carries a range of ligature resistant security fixtures from leading brands such as Acorn, Metcraft, and Willoughby. Browse our inventory of restroom accessories - including shower, sink & toilet fixtures + stems and cartridges. Call us at 1-800-442-6622 for pricing.